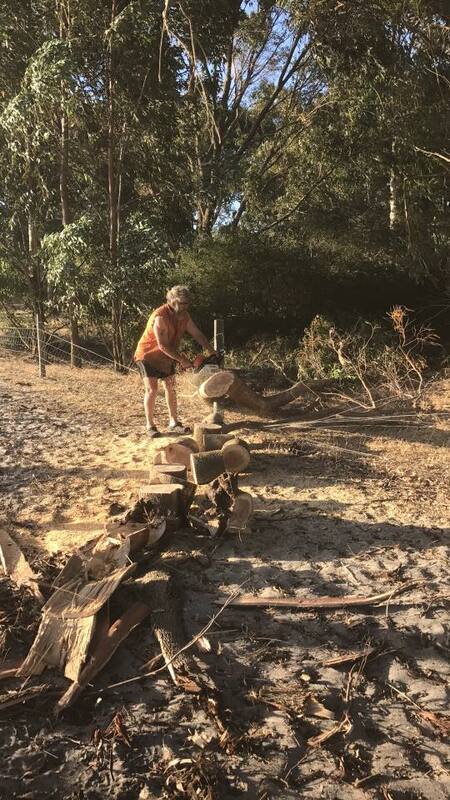 Naturally, there is much to do on 10 acres…..
….whether it is new projects to improve the place, or repairing and rebuilding after disasters such as bushfire. 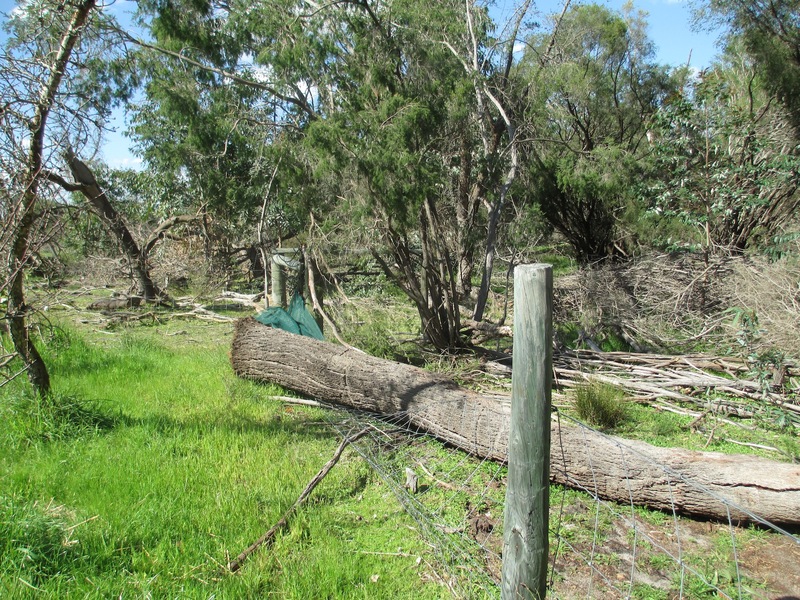 ….or repairing damage from fallen trees.. 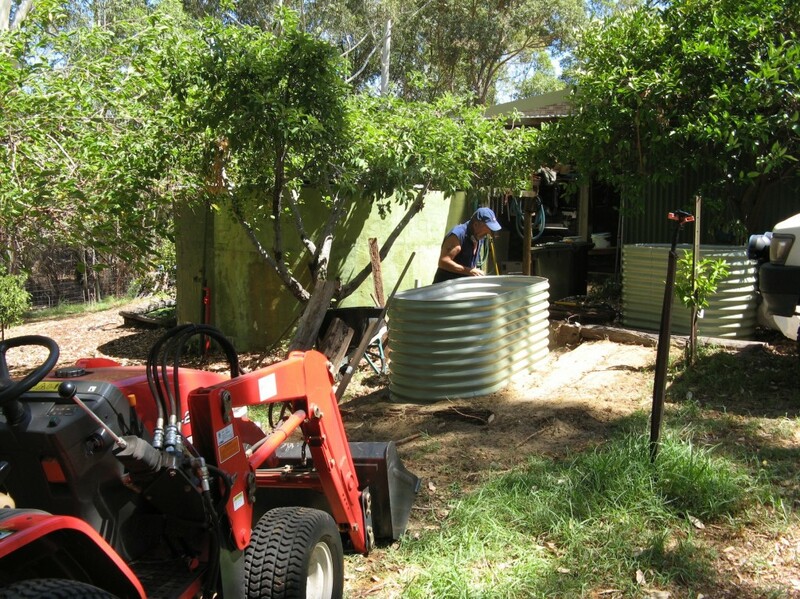 Most of it we have done by hand until recently when we purchased a tractor…. Sowing by hand, but the tractor did the initial work! 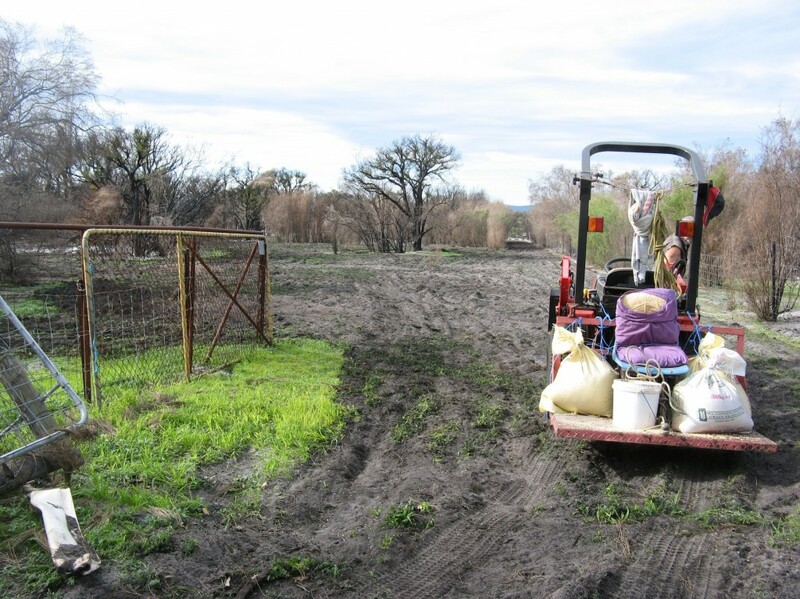 Plus there are the animals, the vegetable garden, herbs and orchard, the infrastructure…..There is ALWAYS something that needs to be done! We have often finished the weekend tired, dirty and sore….but feeling really good! There is something very satisfying about working on the land, and feeling that we are helping at least this little patch be better than it was. 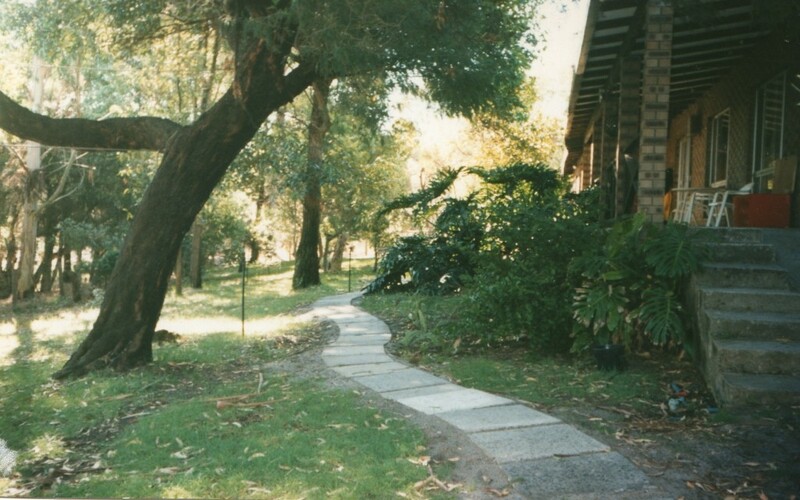 Since we moved here in 1991, we have completely redone all the fences and planted hundreds and hundreds of trees and shrubs. 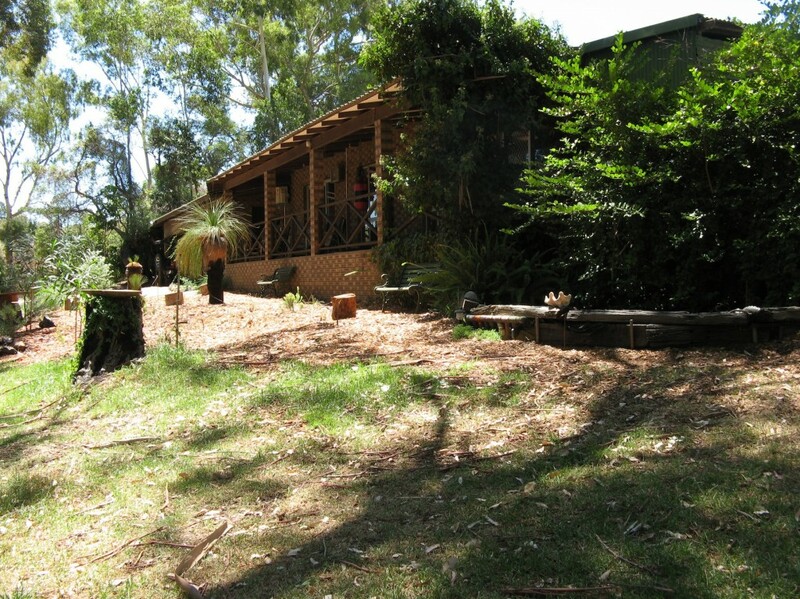 Here are some examples, with before and after shots, of the work we have done…. 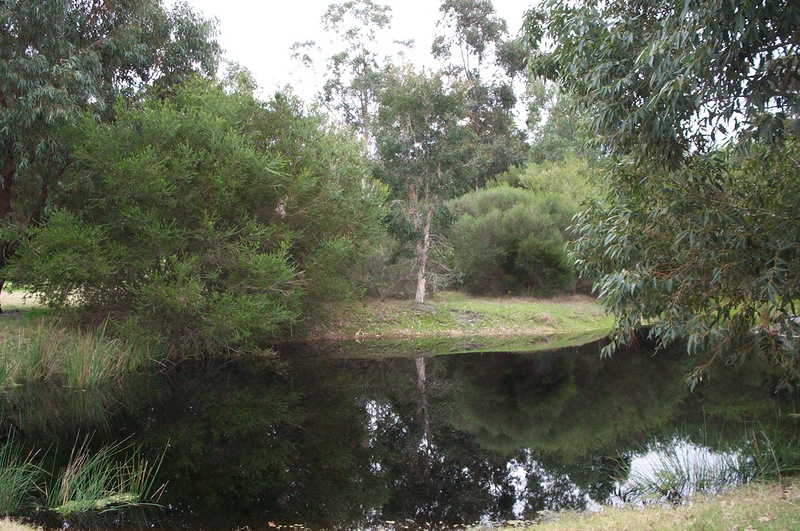 The ‘dam’ (a natural soak and dependent on the water table) was extended and extensively planted. 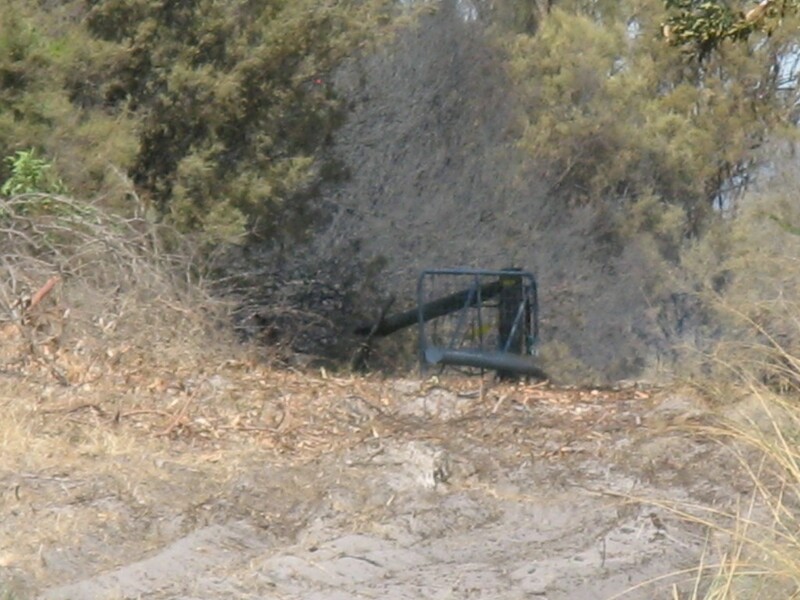 From this…..
in 2005, but it hasn’t filled like this since! 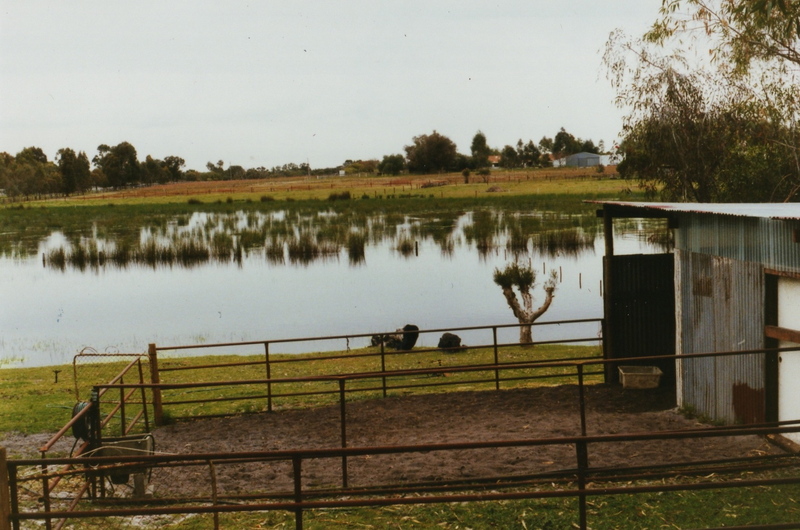 We built stables for the horses the family had when they were younger…. 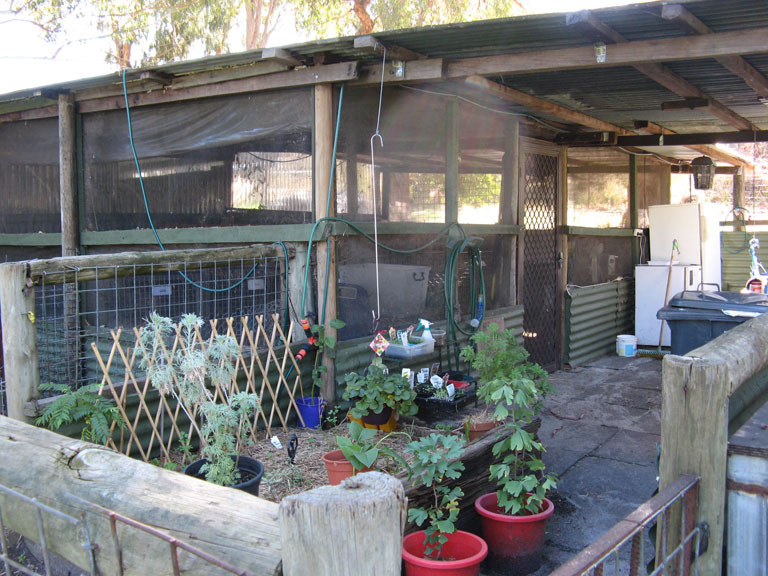 …..so it was eventually gutted and restructured to form the ‘Flop(sies) House’ for the rabbits. 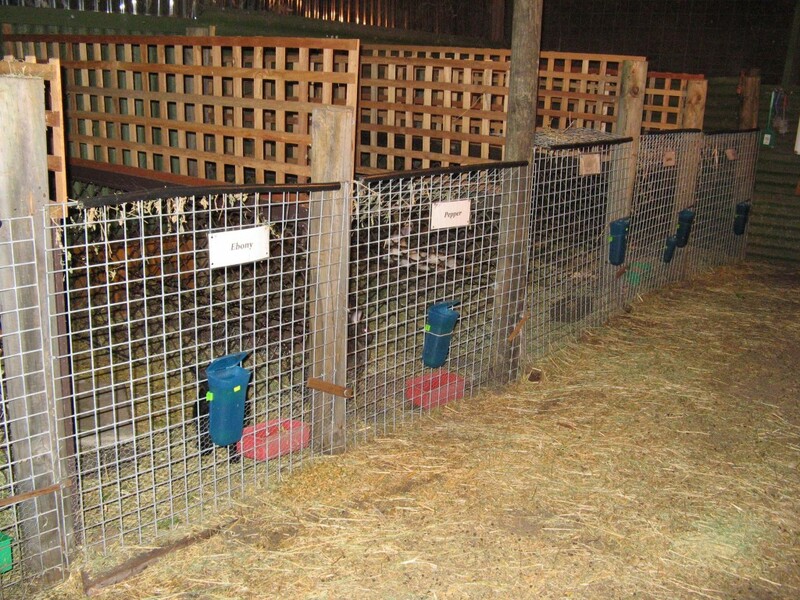 Naturally, we have had to build yards and pens for all the other animals we keep- the chooks and ducks in particular. The sheep wander freely in which ever paddock they are in at the time (we practice ‘smart grazing’), as do the guinea fowl. The swimming pool has been converted with a bio filter to enable us to grow fish all year round, yet still swim on those hot days in summer. 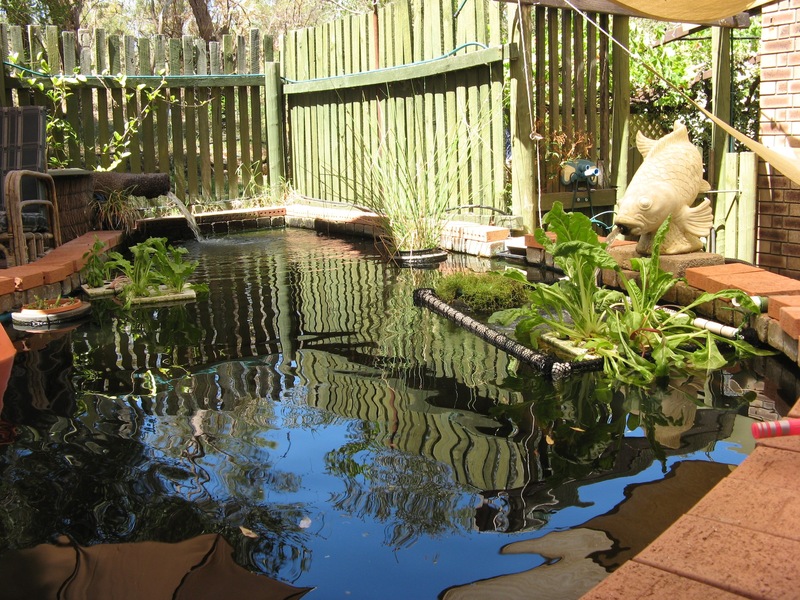 From a very ordinary swimming pool to something much more useful! 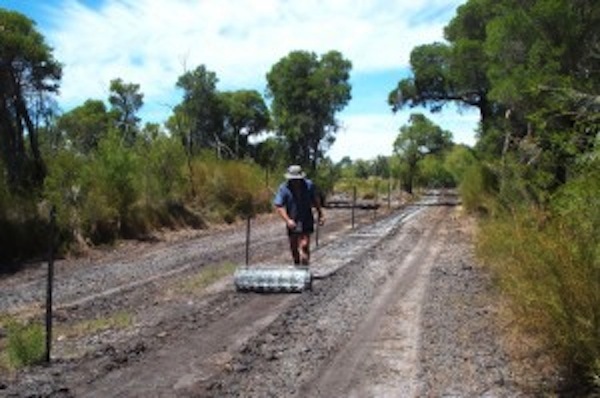 Recent projects have been to create ‘sanctuaries’ for the wildlife. We don’t let the dogs or the sheep into these areas. 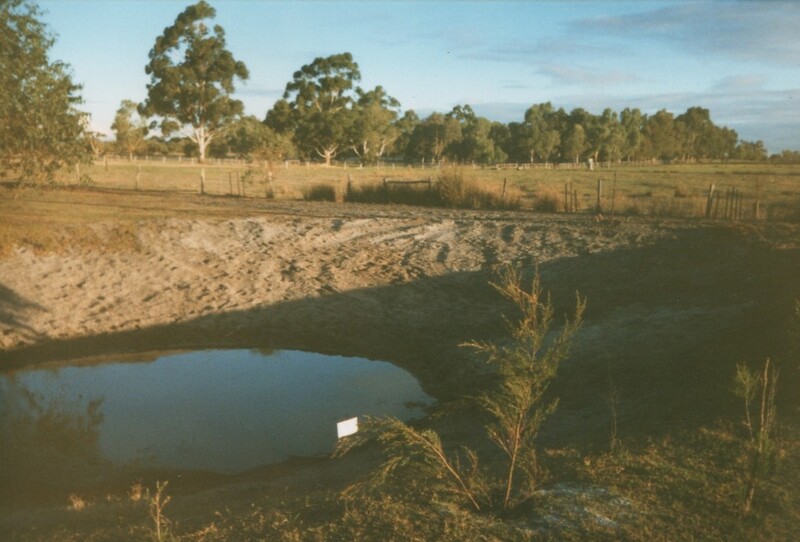 One of these is the natural soak or ‘dam’, where long-necked tortoises ate every crustacean we tried to grow in there, leaving us only empty shells! 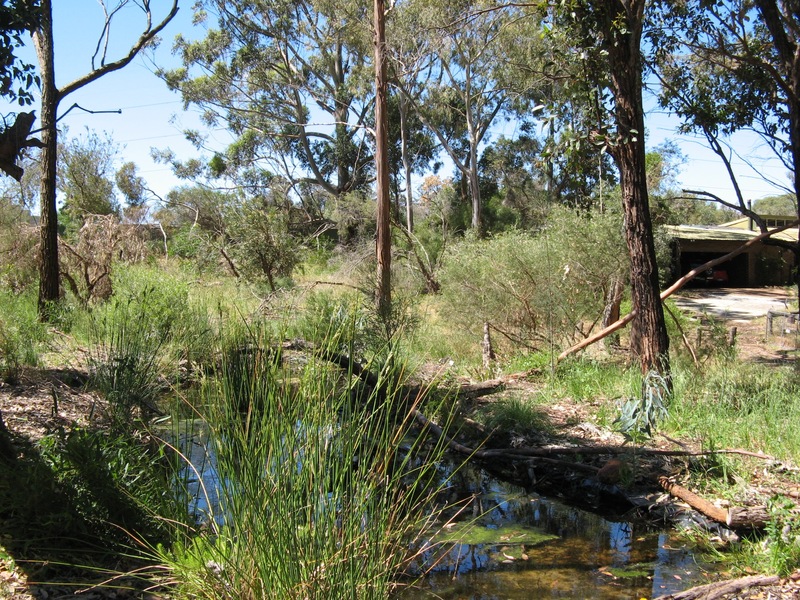 Then there is the artificial ‘snake lake’-designed to draw the tiger snakes away from the house. 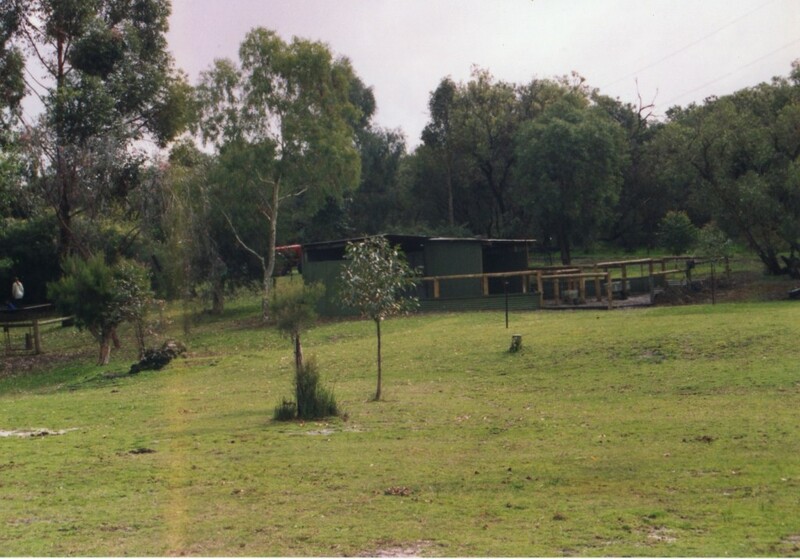 We had nine sightings of snakes around the house in 2009-10 and felt we needed to invite them to live down the hill, a bit further away from the house. Note the snake sign on the gate. 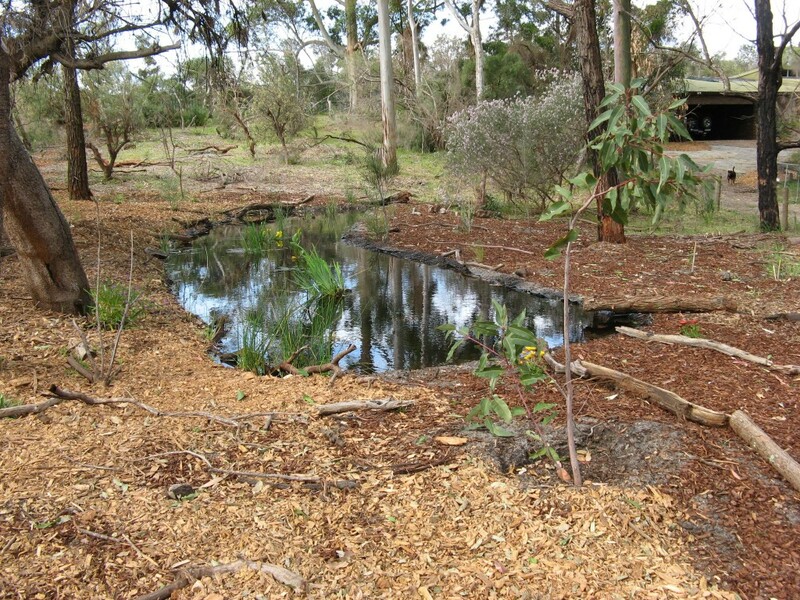 We enjoyed seeing the native ducks and other birds use the water so much that we then made the ‘billabong’ too. The Pacific Black Ducks soon arrived and took that over too. Another project has been the bush foods garden. A very large philodendron was becoming very tatty and burnt every summer when we lost a very old wattle tree that shaded it…. 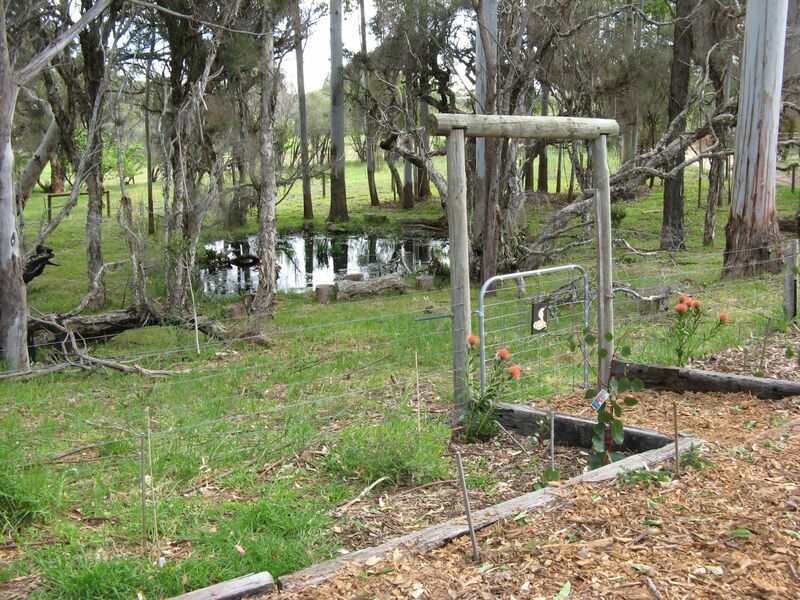 So we removed it and created the bush foods/native garden. Not only is this more functional but also less likely to provide hiding places for the snakes! The removal of the ramp from the verandah in the previous photo, and the creation of a fish/frog pond in its place, was another earlier project! 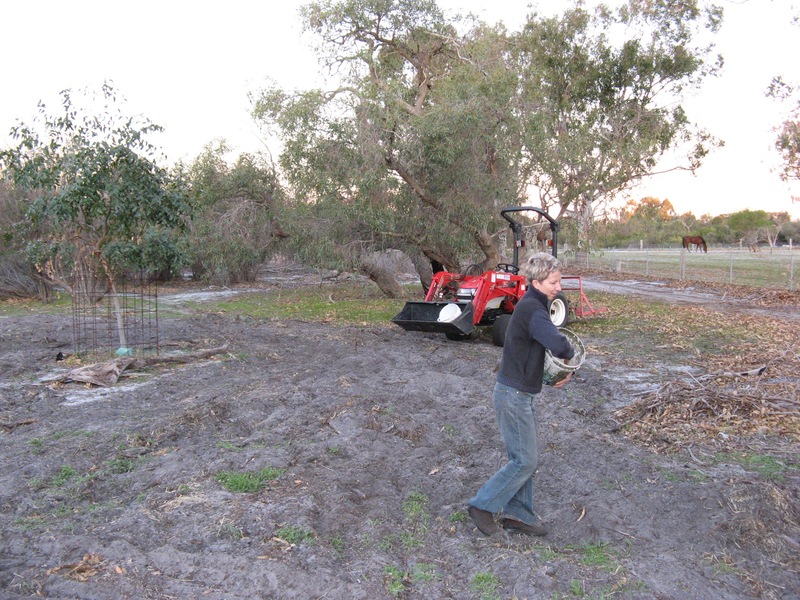 What we didn’t realise at the time was how much the tiger snakes enjoyed the hopping smorgasbord. 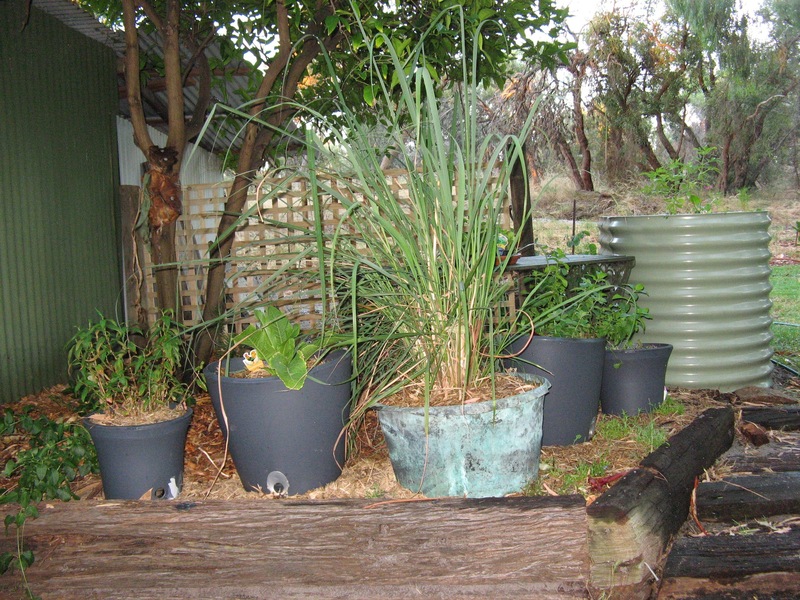 We have grown herbs in a number of places, but the best spot is close to the back door so they are easily accessible when cooking at night. 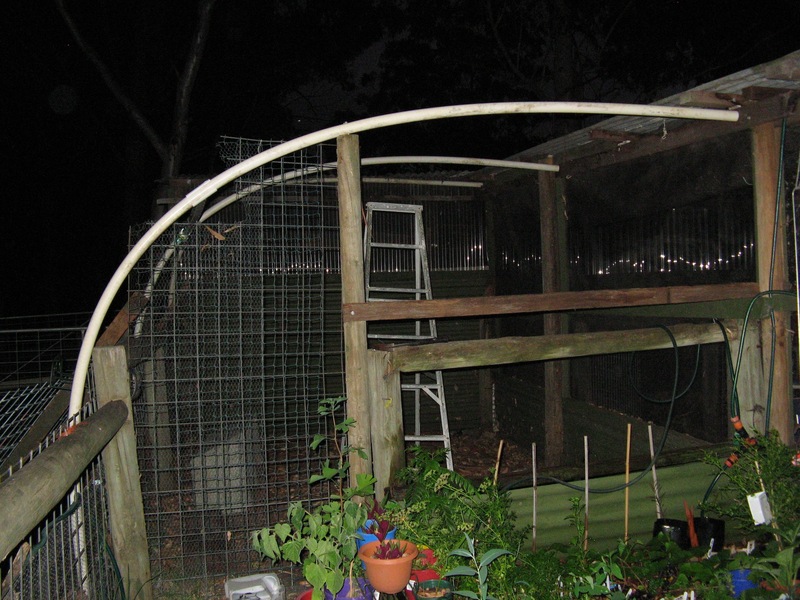 Walking 50 metres in the dark to the veggie garden was not a good idea, particularly in winter! 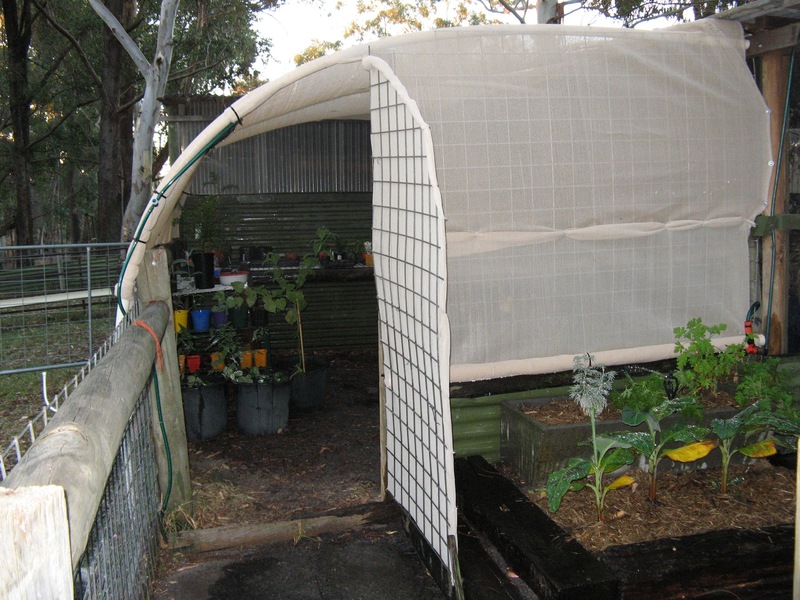 A mostly unused area near the rabbits‘ Flop(sies) House has been converted into a walk-in shade house using available materials. This is near the potting area so convenient, but will provide a more protected area to propagate and nurture plants. Each year we try to sow some wheat/barley/oats in the bare areas. 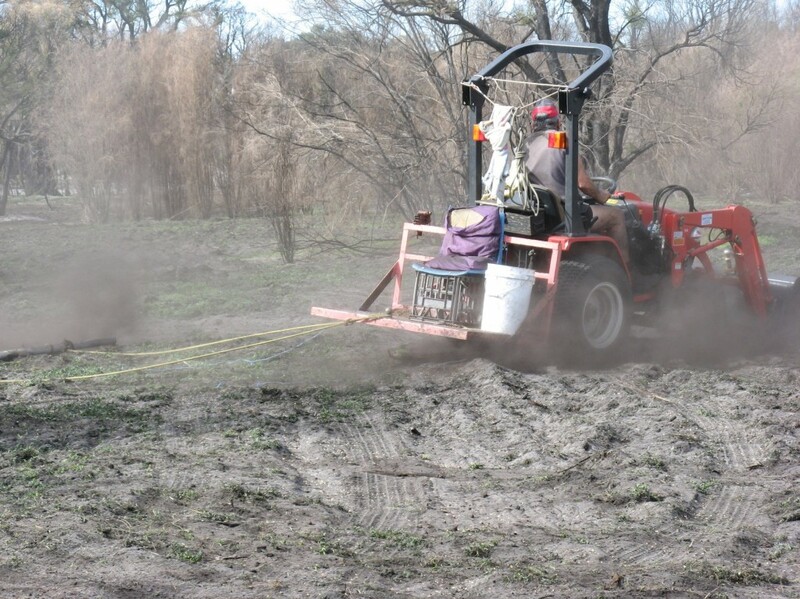 We don’t let this seed, but it makes for great sheep pasture when there is nothing else around. 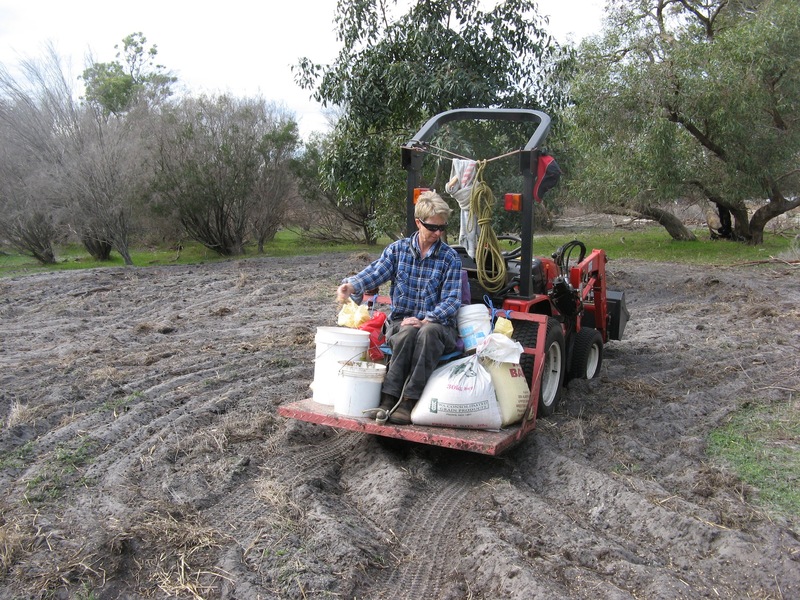 After the ‘big bushfire’ there is even more bare ground, so around and around on the tractor we went, throwing out seed. All set up with the comfy seat, and a bare paddock ahead! Hooning around now to cover the seed before the birds eat it all!